This year’s Academy Awards nominations were announced on Thursday, and if you were hoping for a fresh tidbit to add to your reserve of Oscars trivia, look to the supporting actor category. 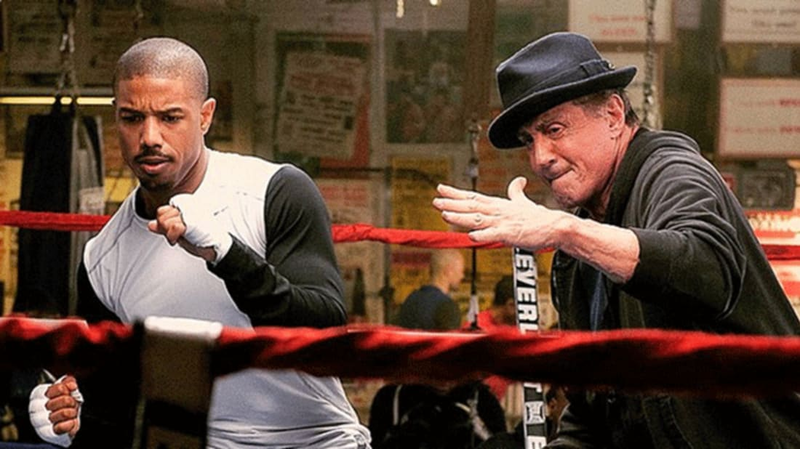 Forty years after first playing the character in Rocky (1976), Sylvester Stallone has been nominated for the second time for his performance as Rocky Balboa in Creed (2015). This adds him to a short list of actors who have been nominated twice for separate performances of the same role. Prior to the latest set of nominees, only five other actors held the distinction. The last person to join the club was Cate Blanchett for her performance as the title character in Elizabeth: The Golden Age (2007) following Elizabeth in 1998 (Blanchett is also the only woman who appears on the list). Before that, Paul Newman took home the award for his second rendition of pool shark Fast Eddie Felson in 1986’s The Color of Money, a role he originated and was nominated for with the 1961 film The Hustler. Perhaps the easiest-to-guess actor on the list is Al Pacino for his first two performances as Michael Corleone. While he was nominated for both The Godfather and The Godfather: II, he was passed up for the Oscar on both occasions. Peter O’Toole became the second person to receive the honor after he was nominated for The Lion in Winter (1968) for his performance of Henry II, whom he had also portrayed four years earlier in Becket (1964). And the first-ever actor to achieve this anomaly is someone you may not suspect but will likely recognize: Bing Crosby. He won his first and only Oscar for his 1944 performance of Father Charles “Chuck” O’Malley in the wartime musical Going My Way and was nominated again a year later when he reprised the role in The Bells of St. Mary’s (1945). So far, no actor has been able to actually win multiple Oscars for playing the same character, and Stallone isn’t in the position to be the first as he’s never won the award. One thing that does make Stallone’s position remarkable is the amount of time that’s passed between his nominations—at least 14 years more than anyone else on the list. Though it is worth noting that he gave five performances of Rocky Balboa that weren’t nominated for Oscars in the time in between.